I dislike cats. I’m aware that many filmmakers have the same lack of appreciation for the beasts with 9 lives. Cat’s Eye, Pet Sematary, The Black Cat, The Cat People, even A Nightmare on Elm Street 2 all feature these ferocious felines. It was with much trepidation (not really) that I sat to watch today’s film. I knew that I would likely have an experience of shock simply from the subject matter alone. 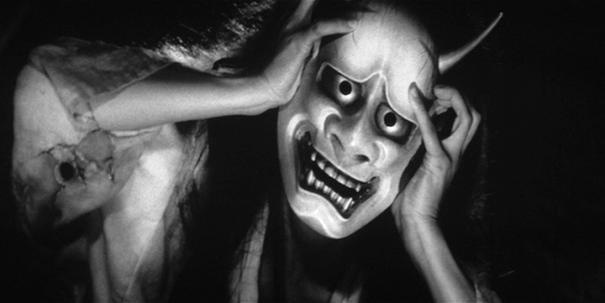 I braved my fears, however, and happily accessed my Hulu+ account to view this classic of Japanese horror. 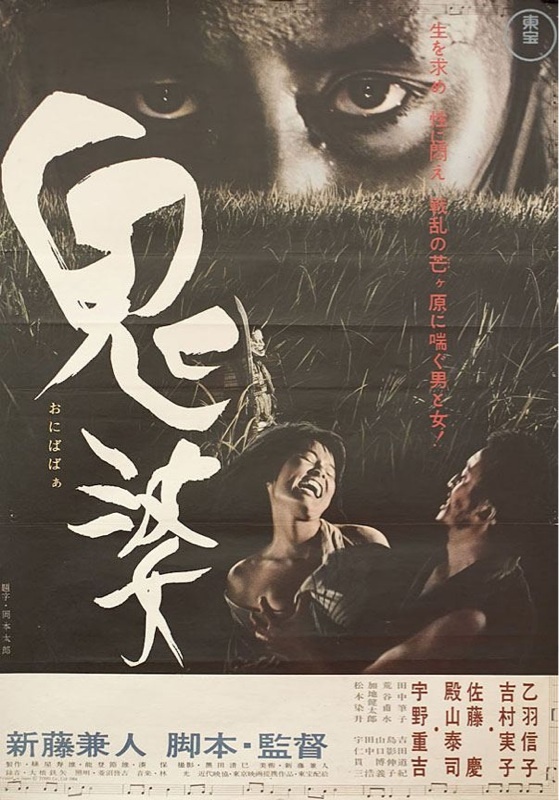 After being brutally raped and murdered by a gang of wandering samurai, a woman and her daughter return from the grave to haunt and kill them. What odd choices of filmmaking, such as random jump cuts, unmotivated images of a black cat, disjointed jumping of the plane, cuts of ghosts and fallen samurai bodies out of nowhere, and the continual bamboo forest immersed in a dense fog imagery. Some of the visuals were haunting, however. The women with their painted on eyebrows, floating in their white kimono, amidst the secluded cabin in the woods, certainly ought to be enough to hold the interest of many aficionado’s of horror. Sadly, I found the aforementioned problems too problematic to be saved by the later interesting elements. It simply didn’t rise above anything other than average. Certainly not after watching the superior Onibaba. Thankfully, however, it’s not as bewildering as House. I’ve long been a fan of Japanese cinema. Akira Kurosawa, Kenji Mizoguchi, Kon Ichikawa, and my favorite, Yasujiro Ozu, are masters of cinema few western audiences have seen. Amazingly, other than the run of horror movies that came from the land of the rising sun a few years back, such as Ringu and Ju On, I wasn’t familiar with any other in that genre. Thankfully, a recent trip to the video store, and my viewing of their Criterion collection they have near the back of the store, I came across a few films considered to be classics in the J-horror genre. With this new knowledge, I followed up my visit by searching both Hulu and Netflix for other films originating from the land famous for samurai, geisha, and ninja. Happily, today’s film was one of the films featured on Hulu+ Criterion Collection. Without hesitation, I pressed play on my tiny appleTV remote, and took in the surprise that was today’s entry. I was completely blown away by the twist near the end of the film that confirmed this to indeed be a horror film. The mastery that Shindou displayed on bringing together this morality tale was superb, and worthy of all the praise I’ve since read up on for this film. It was shocking to see such graphic sensuality, given the year the film was made. Certainly not a film I’d be able to show in my film appreciation class without a major disclaimer. The cinematography is simply amazing. The waves in the grass, the use of shadows, and the framing of each scene is a marvel to see. The acting is equally as impressive. This is not your over-the-top theatrics found in many other films of that same era. Instead we are witness to the depravity of war, and the loneliness of seclusion, in a manner that is completely engrossing. I will never feel the same way when I am faced with the choice of the shortcut through the grassy field or the long dirt path around it. I certainly will be needing a proper foot cleansing after such a proposition presents itself. I spent a large part of my youth growing up in a coastal town famous for its boat marinas. As such, we had a boat docked in one of those marinas. My father used to take us out regularly far into the massive body of water to go swimming, fishing, or just plain relaxing. Other times he’d take us just around the bend from the marina, to a cove famous for its swimming holes. Sadly, much to the consternation of my stay-at-home mother, he would also often times leave the boat parked in the dock, and let us simply swim off the back of the boat. Looking back now as an adult, I see how foolish that may have been. Many other large cabin cruisers pulling in and out of the marina, filthy greasy film floating on the surface, the rainbow of colors reflecting in the hot summer sun. Even at that age I had moments of hesitation when my siblings were so blindly diving into the sludge from the rear of the cabin cruiser. He also would let us fish, often gutting, cooking, and eating the fish within hours of our catch. To the dismay of my mother, his brother figured little better. 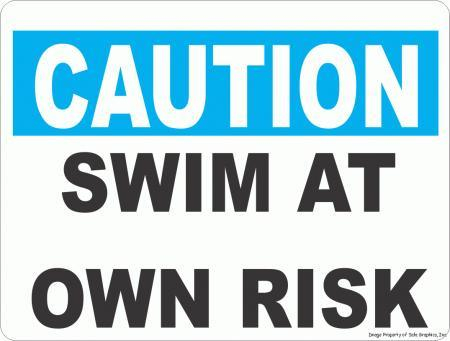 He would take my cousin and I swimming in what was perhaps the most polluted river in the country, if not the state. There are many times I remember getting some bacterial fungal disease, which certainly came from the river, only to be told I likely was having an allergic reaction to some food I had not eaten. Had I seen today’s film prior to my childhood, I am positive I would have lived an entirely different life. After a pair of divers mysteriously die in an apparent shark attack, a seemingly unconnected bacterial outbreak occurs in a small coastal town, causing disaster and panic in its wake. I had briefly noticed today’s film when it was prominently displayed on my Apple TVs What’s New screen last year. When I had read the information about the film, I found it interesting that Barry Levinson (Rain Man, Wag the Dog, Good Morning Vietnam) had helmed this entry into the horror genre. He primarily has chosen films that are dramatic and/or political in tone. The reviews I read gave the film good marks, however, as is the case with more films than I care to admit, it slipped off my radar until preparing for this series of films for the month of October. To cut to the chase, let me state that this is a film that I recommend all to see. Fans of other films that focus on an epidemic of mass proportions, such as Outbreak, Contagion, and 28 Days Later, will assuredly find this film to be enjoyable. For others, after watching the film, if you do not react in a way that causes you to take note, you perhaps have been swimming in the same waters as I did in my childhood a day too long. It’s a horror film, that is so eerily believable, that I couldn’t take my eyes off the screen. A found footage film yet again, and another that truly fits the medium. I particularly found impressive Levinson’s use of multiple cameras to tell the story. Whereas most found footage pics focus on 1 camera that contains a tape of the incident that serves as the film, The Bay instead is composed of security cameras, ATM cameras, civilian cameras, traffic cameras, news crew cameras, and whatever other kind of video source that was “found” in the city that is affected. It is a clever twist on the found footage pic, and a welcome one at that. There was ample amounts of gore, but it’s nothing you haven’t seen on an episode of ER, and not the kind you’ve seen in Saw. 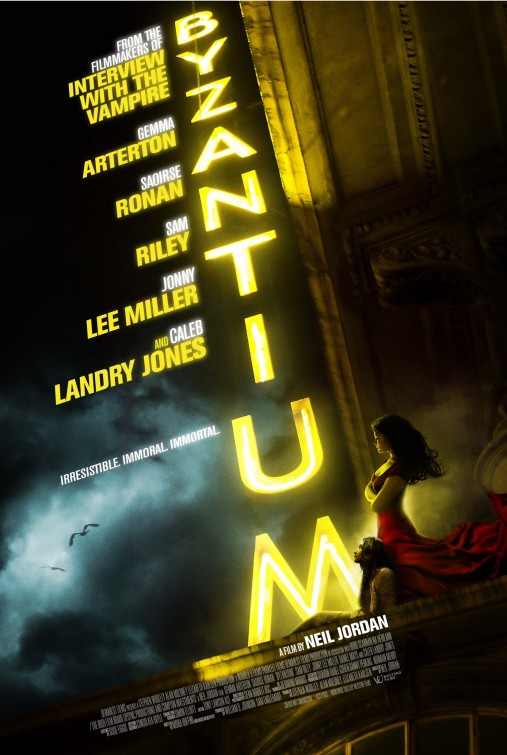 Be ready, if you have the stomach for it, to hit Google after you’ve watched this film, to see how much of the plot has been based in reality, and how much of it is Hollywood fiction. 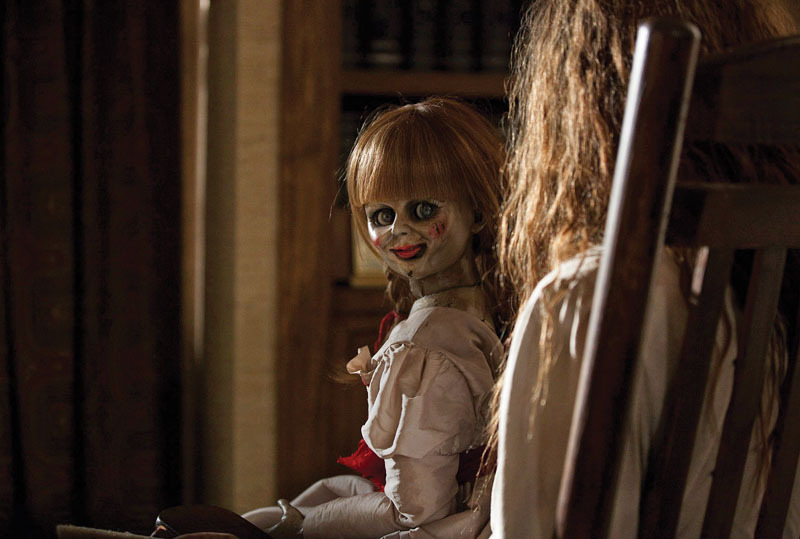 According to Levinson, during a screening on the films initial release, he stated that 85% of what is seen in the film is partially based on fact. Now that is SCARY! The weakest element in the entire film is the character Donna, or rather Kether Donohue. She annoyingly licks her lips to moisturize them throughout the entire film. I couldn’t stop wishing someone would have simply thrown her a tube of lip balm, and gotten on with the show. It seemed more a nervous twitch of an amateur actress than it did a character trait she had developed (forgive me if I’m wrong). Also, there’s nothing here regarding cinematography, set pieces, music, or sound-effects for that matter. This is simply a character driven fear fest. No ghosts, vampires, or extraterrestrial beings in this one. This is simply a matter of what you don’t see, in our real world, might kill you. Vampires. They have been the subject of numerous films throughout the decades. They have appeared, according to ranker.com, in over 197 films. To begin to entertain the idea of producing a new edition that will resonate with audiences surely must be a daunting task. To be able to offer something new that isn’t formulaic nor a simple rehash takes talent beyond measure. I’ve stated before, (and based on the number of films, television programs, novels, and video games that continuously get released, it’s apparent I’m not alone), that I enjoy these celluloid exhibitions featuring the notorious creatures of the night. I recently heard about today’s film whilst reading an issue of Empire magazine. They stated that the film was a four star affair. I instantly knew that I had to view this film. I originally had a sequel to a rather storied franchise queued up and ready to go, bucket of freshly made stove-top popcorn at the ready, wife and children tucked away snuggly in their beds. Instead, I did a switcheroo and opted instead for this nocturnal tale. A pair of mysterious women descend upon a small unsuspecting town, hiding from a mysterious organization that is attempting to locate them. Unfortunately for the inhabitants of the town, they bring death with them, leaving a trail of bodies in their wake. Not since Ludwig Von Drake recorded The Spectrum Song has there been an occasion where I was instantly immersed in a world of vivid color. The use of hues by cinematographer Sean Bobbitt was amazing, and made me all the more grateful I chose to view this on a 52″ HDTV as opposed to an iPad on my train ride into work. I was instantly taken in by the mesmerizing score that opens the film. Whereas other films I’ve written about feature over-the-top musical scores that overpower the senses, Jordan opts for a more subtle, yet beautifully melancholic soundtrack, only elevated by the haunting cinematography that unfolds from the start. The film continues to play slowly, thanks to the superb editing from Tony Lawson (Michael Collins, End of the Affair, Straw Dogs), allowing each scene to breath, even during the few gruesome images that are peppered throughout. During an upsetting decapitation, instead of cutting to the beats of the latest techno mix, we are allowed to take in the atmosphere of the locale, which only serves to up the emotional impact. I thoroughly appreciated Jordan’s ability to effectively utilize imagery in a way that most viewers will remember elements and/or scenes to the film that never actually appeared. A film about a stripper who is also a prostitute, the men she has slept with, numerous occasions of unlawful entry, and we never are witness to any of the acts nor images of humans in their “au natural” state. Pure genius. Proof positive that the imagination is much more powerful of a tool than any canvas can ever paint. 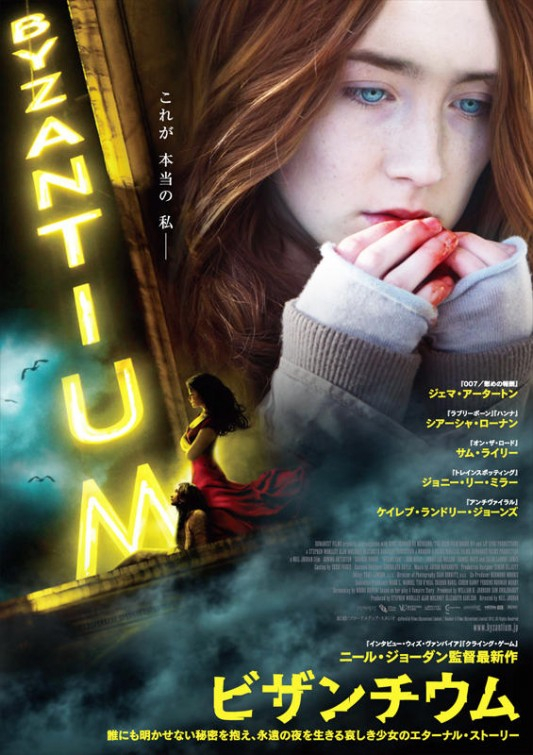 Saoirse Ronan shines in her role as the tortured soul to Gemma Arterton’s femme fatale. 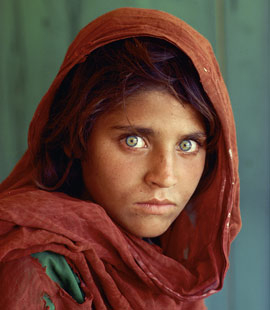 Her eyes are stunningly mesmerizing, and hold the viewer every single time she looks into the lens, harking back to the famous Steve McCurry photograph that graced a National Geographic cover. The rest of the cast, who are equally as impressive in their own right, also bring life to their characters in a way that never hints at mediocrity. Jordan truly displays his gift of finding such a stellar cast. If you enjoy atmospheric films that are light on the action and heavy on the illustrative character studies, I strongly recommend this film. I’m positive you will be thrilled. I try to reserve judgement until after I’ve seen a film in it’s entirety. I owe that much to the filmmakers who’ve spend a large portion of their year (or more if you are making Cleopatra) attempting to put together something worth my hard earned ducat. However, after watching today’s film, I find that practice more arduous to do. Not having had any prior knowledge of today’s film preceding my viewing, I was surprised to see the logo that opens the film. As soon as I saw Ghost House Pictures insignia, I had reservations. Afterall, I found the last two films I’ve viewed from Sam Raimi’s company (Drag Me to Hell and 30 Days of Night) to be less than stellar. I also didn’t find their foray into television programing (Legend of the Seeker) anything noteworthy, although I did stick it out for the entirety of its two campy seasons. I’m not sure what it is. Perhaps the films are rather futile for horror films, feeling more like a big budget action flick than a atmospheric horror film? Perhaps it’s the over the top sound effects, the clean and sterile lighting, the same cookie cutter characters in each film, or the fast paced jarred editing? Either way, today’s film fell squarely into the fold of their previous efforts. A young girl, after finding an antique wooden box containing mysterious symbols carved into it, begins to suffer abnormal behaviors, much to the consternation of her recently divorced parents. It soon becomes apparant she is possessed by an entity not of earthly origins, and the race against the clock to rid their prepubescent daughter of the demonic spirit begins. From the very first scene, I knew I was in for more of the same. 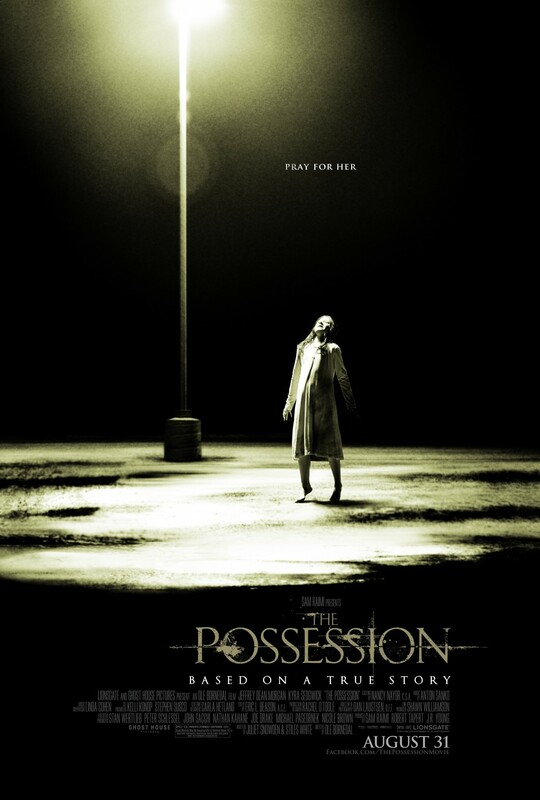 An old woman stands in front of a box, demonic voices coming from within, when suddenly, timed to the frantic editing, she becomes possessed and begins to contort and fling across the room. We then are introduced to the characters that we soon care nothing about. They take actions that don’t make sense. For instance: Why does the girl get startled by the old woman who is the neighbor? Why does she slowly follow her and peer into the window. Who is the bandaged freak who screams at her? Why is the girl allowed to stop off and pick up the box? Why does she want it? Why does an entire room of supposed God fearing Jews feign fear at the mere sight of the box? Or are they truly afraid? Are they all really faithless? Too many odd questions. Frustratingly, in addition, there are scene after scene of odd edit decisions. There are numerous instances in which the tiniest semblance of suspense is building, the camera is dollying, the tension is at a high, and it cuts to black mid-beat, mid sound cue, sounding like a piece of the soundtrack is missing, rather than a meticulously timed trim. Not sure what effect they were going for, but I found it jarring and annoying. I also found vexing plot devices that simply come across as slipshod or indolent, although I know that certainly wasn’t the case. However, I’m not sure how else to react when situations such as “Little Girl is vegan, and is ravenously tearing into a raw steak, therefore she MUST be possessed” are a major plot point. Why else was that silly conversation that opens the film there? Am I instead supposed to see it as a message? Either way, it strikes me as stodgy and amateurish. Maybe it was the title that doomed this film? A quick search of other films with the same title show that film critics such as Leonard Maltin are rather dismissive of them, as well (1981-★½, 2002-★★, 2010-★½). However, to avoid sounding uncouth, I will admit that it did deliver on some scares. Nonetheless, whereas the frights found in a film like The Exorcist certainly command repeat viewings (if one so dares), this film is too marred by the aforementioned issues to warrant any kind of further thought. It was simply an average film. C rating. More Freddy is coming your way, in this second installment of the Nightmare on Elm Street films (originals, of course). How did he survive the last film? What will he do to Nancy now that he is back? How will the people who survived his brutality from the first film react to his return? Surely, the filmmakers knew that viewers to this sequel would be chomping at the bits to have such answers addressed. Returning serial killer Freddy Krueger begins to haunt the dreams of a young man, in an attempt to take control of his body, thus enabling Krueger to reenter the realm of reality, where he can continue his bloody murderous spree. Not sure what they were thinking? This sequel entirely ignores the “rules” set up for us in the previous pic, and turns more into a confusing, plotless, haunted house flick. In the original film that started the franchise off, Freddy wore a glove with knives on it. Here, while the glove does appear in scenes, the knives on are now coming directly out of his fingers, more akin to Wolverine, or Marvel comics fame. Also, there is zero instance of Freddy affecting the lives of the children of those who “killed” him through their dreams. Instead, he is able to enter the real world, possess people to the point of their transformation into him, and “haunt” the house of the original films heroine, Nancy. The above would be forgivable were it cleverly written, or performed by actors with any life in their performances (sans Englund, natch). Sadly, neither of these aforementioned necessities are featured here. There is corny acting, inane decisions by characters, and little sense to be made in this silly entry in the series. Just to point out a few of the problems, Jessy, after having killed (as Freddy) his best friend, runs to his girlfriend Lisa’s house for help. He stands there covered in blood, and she reacts as though nothing were wrong. When Jessy transforms into Freddy in front of Lisa, and then disappears in a puff of fire and smoke, she decides to drive to the abandoned factory to find him (of course, there is NOTHING story-wise to explain why she would do this). Not sure why they chose to go this route, but the only nightmares it gave me were the knowledge that I cannot get those precious 87 minutes back. Argh.